Do you remember the make that I forgot to photograph? 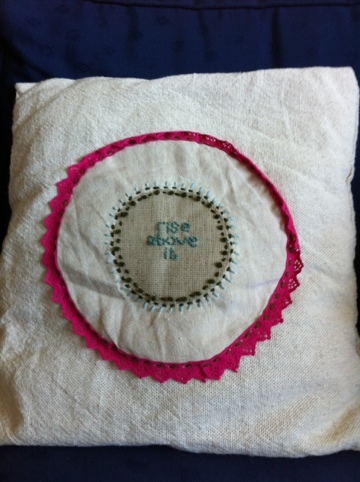 Well, here it is… A double sided cushion for a very good friend. 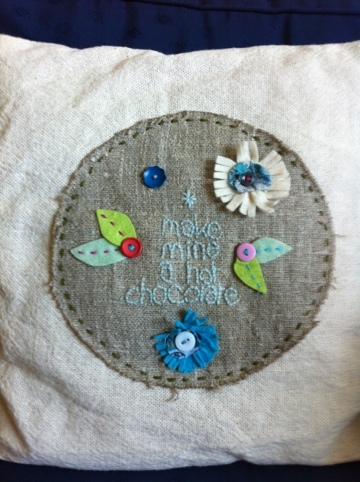 Made from felt, raw linen and cotton and using vintage tapestry wool to embroider life’s great truths. I hope it was worth the wait.